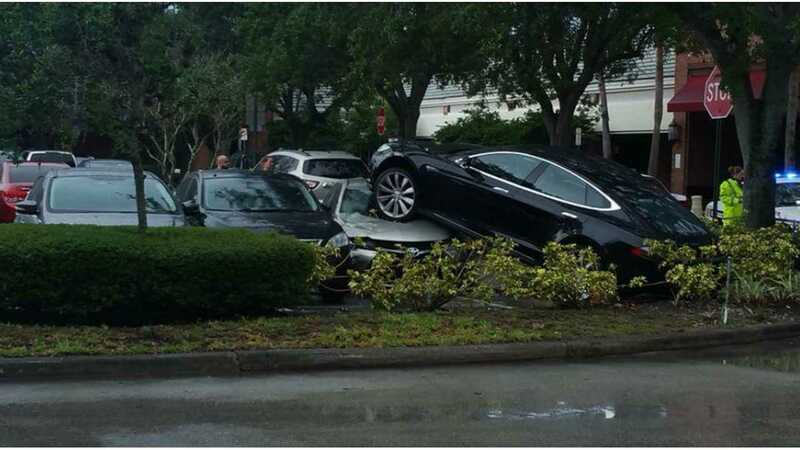 According to the Sun Sentinel, a Tesla Model S driver momentarily fell asleep behind the wheel. His car then veered off the roadway, jumped over a curb and climbed its way on top of a parked Toyota Camry. During the incident, the Camry was pushed into two other presumably parked cars, a Nissan Sentra and a Ford Focus. No occupants were in any of the parked cars. 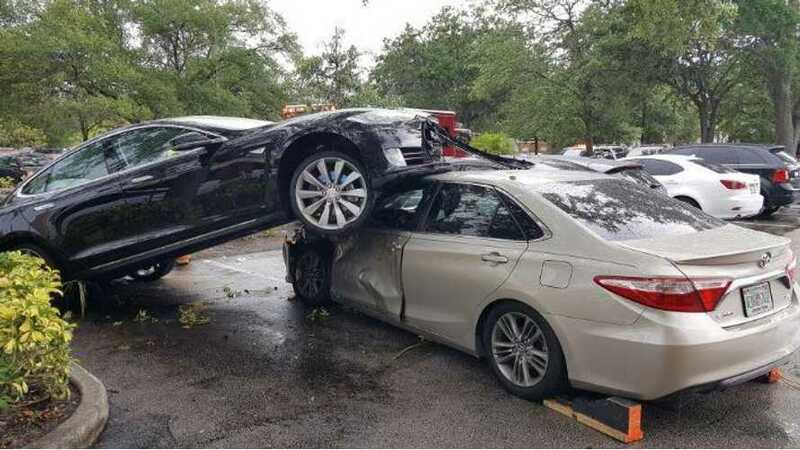 The passenger in the Model S attempted to prevent the crash upon noticing that the driver had dozed off, but the passenger reacted too late. Nobody was injured, but the Camry sustained heavy damage and the Model S appears to have at least some minor front end damage. "The car apparently jerked, went up over the curb and rode up over the parked car." 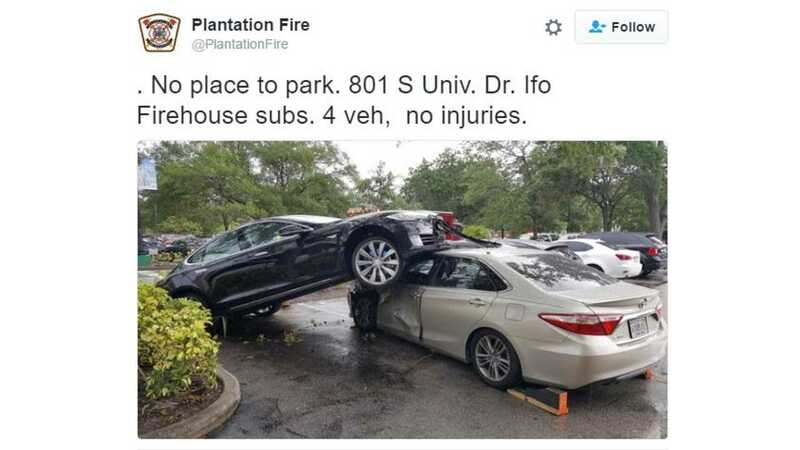 The crash occurred around 1 PM on May 28 in the 800 block of South University Drive in Plantation, Florida. There's a Tesla Supercharger in the immediate vicinity of the wreck.